Counter tops and vanities become dated, especially with newer materials becoming more trendy and preferred. Installing countertops is often an important, necessary renovation for changing the overall look of your bathroom. Most homeowners, however, may feel overwhelmed by this idea, especially with the many other major home repairs that require attention. Sudbury Handyman Services offers a complete solution to your bathroom renovation project. From installing laminate countertops, making ceramic tile repairs and in floor heating, one call to Sudbury Handyman Services helps check all these major tasks off your "To Do" list. Remodeling a bathroom is a big decision and an even bigger time commitment for home owners. Let Sudbury Handyman Services help prioritise installing countertops in your bathroom with other major and minor home repairs for added value and a house you're proud to call your home. We Install a variety of countertops. Whether you prefer help with installing laminate countertops or granite, our home repair contractors specialise in quality installations of a variety of countertop materials. Having Sudbury's best work force of trained, experienced handymen ensures high quality countertop installation from professionals you can trust. 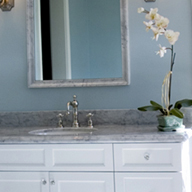 When updating your bathroom, discuss countertop installation with Sudbury Handyman Services. Also ask our professional home repair contractors about granite tile countertop installation in your kitchen or any other major home repairs. A dripping faucet in your bathroom can waste up to 212 gallons of water per month. Stop spending hard-earned money on excessive utility bills and call Sudbury Handyman Services for faucet repair services. .After We fix your leaky bathroom faucet, We can move on to other items on your "To Do" list. Also did you know that a leaky faucet may point to other plumbing issues that could result in significant water damage. Sudbury Handyman Services takes a proactive approach to home repairs. We won't just fix the problem; We will address the larger issue to help you avoid costly repairs down the road. Sudbury Handyman Services helps you maintain your home's value. 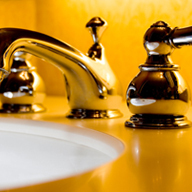 After we perform faucet repair services, we can take a look at your other kitchen and bathroom "To Do's". From cabinetry to countertop installation ororganization solutions , Sudbury Handyman Services can help you with all your home maintenance services. Each of our professionally, fully trained home repair contractors are ready to help you with all your kitchen and bathroom maintenance needs, including professional faucet repair services. Simply call Sudbury Handyman Services today to request our services. You can start knocking items off your "To Do" list right away with help from Sudbury Handyman Services! Grout discolors' chips and wears away, leaving your floor, shower tile and countertops susceptible to damage. Bathroom tile repair services from Sudbury Handyman Services raise home values by keeping showers and floors looking brand new. Keep your home's value intact with specialty floor and shower tile grout repair from Sudbury's most trusted handyman service. Minor shower tile repair and maintenance items, such as caulking and grouting are often forgotten when life keeps homeowners busy. It's important to remember tile grout repair is not as expensive as major home repairs that result from not repairing tile. Our handymen can repair tile grout before shower or floor tiles chip or become damaged. By addressing floor and shower tile grout repairs early on, Sudbury Handyman Services helps prevent more expensive, major home repairs like installing new ceramic tile or a shower surround. Don't let that small bathroom tile repair become a larger, more expensive ceramic tile installation. Let Sudbury Handyman Services help. But if it's already too late for tile repair, Sudbury Handyman Services professional home repair contractors are experts at laying ceramic floor tile and installing ceramic tile surrounds. By installing ceramic tile properly, our professionals ensure long lasting beauty that increases your home's overall value. Contact Sudbury Handyman Services today. Contact Sudbury Handyman Services about all repairs on your "To Do" list and let Sudbury Handyman Services save you money today. From ceramic tile and drywall repair to in floor heating and more, Sudbury Handyman services can help with all your bathroom repairs, maintenance and improvements. Many minor and major home repairs happen in the bathroom. Repairing tile that's chipped, shower heads that no longer work and many other bathroom repairs are Sudbury Handyman services specialty. As your safe, reliable and professional choice for handyman services, we handle all major and minor home repairs in one call. For bathroom tile repairs, such as replacing grout or laying ceramic flooring, we check it off your "To Do" list, so you have more time for the activities you really love. Common shower tile repairs to major home repairs such as installing bathroom countertops and laying ceramic floor tile are all prioritized and done right the first time, every time. Let our professional handyman services help raise your home value starting with those bathroom home repairs. When life keeps homeowners busy, it's easy to pass up on minor home repairs, especially in the bathroom. Caulking and tile grout repair are often prioritized at the bottom of your "To Do" list in favor of major home repairs. These minor improvements shower tile repair, replacing shower heads, drywall repair begin to stack up, causing more overall damage as one small chip or hole becomes larger. Sudbury Handyman services completes these smaller jobs in one call, saving you money on multiple specialists who frown on minor home repair calls. And in the long run we prevent minor home repairs from becoming much larger home improvement headaches. Moisture that's not properly vented out of your bathroom can cause serious damage to your drywall. When ventilation isn't adequate the moisture seeps into your walls, making it more susceptible to mold and other types of damage, which can lead to costly repairs. Prevent major home repairs by fixing drywall and ventilation fans before things get out of hand. When these two tasks are left at the bottom of your ever-growing "To Do" list it can cost you more money in the long run than repairing drywall affected by moisture. Sudbury Handyman Services can help patch drywall, fix ventilation fans, and repaint your bathroom, along with any other home repair that tops your to do list. Our experienced professionals help prioritise and make every drywall repair and home improvement manageable. That means when you call, Sudbury Handyman Services, we can help decipher and prioritise important instances where patching drywall may prevent additional major home repairs. In other words, you may call about a window installation because you see moisture as the beginning signs of a moisture problem in your bathroom are often peeling paint and condensation on windows. Our professional handyman services can identify whether drywall repair is necessary and whether installing better ventilation can help. Patching drywall can often prevent much larger repairs. Discovering areas where fixing drywall stops more expensive damage is how Sudbury Handyman Services saves you money in the long run and keeps your home's value intact. 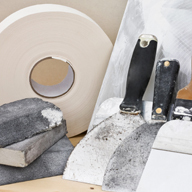 Contact Sudbury Handyman Services about drywall repair services that save you money today. Consider Sudbury Handyman Services your professional bathroom fixture installer. From lighting fixtures, ventilation fans to a new faucet, your vision for your bathroom can become reality. Call Sudbury Handyman Services to request service today. New fixtures are a quick way to transform your home. An updated sink gives your bathroom a new look without the higher cost of a bathroom remodel. 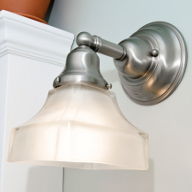 Light fixtures with a new finish add brightness and energy savings when the appropriate light bulbs are used. Have Sudbury Handyman Services install new or refurbished lighting and bathroom fixtures. A few updated touches add value to your space - all in a short time frame. You'll save time by not having to call multiple contractors when you hire Sudbury Handyman Services, and Sudbury Handyman Services begins work right away. Plus, each home repair technician has at least 15 years of trade experience ensuring one call truly does it all. Sudbury Handyman Services is here to help you cross those tasks off your "To Do" list. We handle everything from fixture installation to faucet repair services - or even outdoor maintenance tasks, like solar lights at the end of the driveway and along walkways to stair and deck maintenance. Whatever you need done around the house, Sudbury Handyman Services can help. 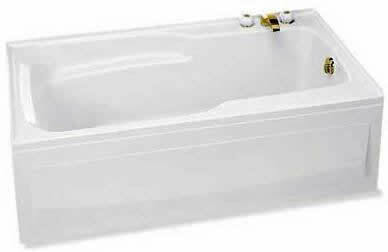 In order to make the acrylic bathtub resistant to cracking and chipping, the manufacturers use fiberglass as a reinforcement material when vacuum forming the acrylic sheets. Acrylic is an cost effective material, allows for ease of mass production and it is light weight. The most costly tubs manufactured in quantity are made of cast iron. As the name implies, a form is created and then molten iron is poured into the mold. The biggest advantages to cast iron are that most chemicals will not damage the surface and they stand up to abuse as it is almost impossible to scratch or dent a cast iron bathtub. Each ceramic or porcelain bathtub is unique as it must be custom crafted in place in your home. The most common construction is to produce a wood form that is covered in concrete board. A slight slope is required to ensure correct drainage. The tile is then glued to the concrete board using a water proof adhesive and grout is applied to seal the cracks. Tile bathtubs can be a problem as small cracks in the grout, due to shifting of the form or the whole house, can cause leaks to occur. Although not a common material, because of it is a high labor cost, concrete is used to create bathtubs. Concrete can be either molded on site or created in a factory with the finished product being delivered and placed in position. The concrete can be colored and have unique textures applied. Almost any shape and color is conceivable with the material. Copper is a very expensive material to use for a bathtub. It requires true craftsman to create a finished product. 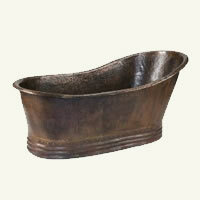 A few manufactures have created standard copper bathtub products made of copper. To create cultured marble, limestone with a polyester resin are mixed together and that is then coated with a gel. There is absolutely no marble in "cultured marble". The term comes from the finished products appearance, it has the look and feel of real marble. In price, cultured marble comes in less expensive than cast iron but substantially more than porcelain on steel. Gel-coated fiberglass, known in the industry as FRP, is one of the least expensive bathtub materials. To create FRP the manufacture builds up layers of fiberglass over a form. The surface finish of the fiberglass bathtub has a polyester resin sprayed on. There are different qualities of FRP which is primarily based on the number of layers of fiberglass and the number of coats of polyester resin. Granite is a very expensive material not only in the cost of the material, but in labor as it requires a craftsman and in the cost of installation due to its weight. The basic granite bathtub is carved out of a single piece of granite rock. Marble is not one of the better materials for use as a bathtub. Numerous custom marble facilities do offer marble bathtubs. The primary disadvantages are in the material itself. Marble can crack if it subjected to rapid changes in temperature - thermal shock. As well, marble can be etched by the minerals found in hard water. There are more porcelain on steel bathtubs sold for remodel and new construction in North America than all other materials combined. 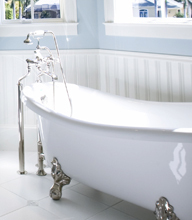 Porcelain on steel is the least expensive of all the bathtub materials available. The manufacturing process is highly automated. A piece of steel is stamped to form the bathtub shape and that is coated with a layer of porcelain. 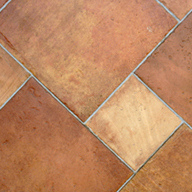 The finish is abrasion and chemical resistant making it a highly durable product. A new entry into the bathtub market is the "solid surface" bathtub. The material was originally created as a substitute for natural stone countertops. Although more expensive than natural stone, it can be difficult to tell them apart in appearance. The products qualities are outstanding, it maintains water temperature better than any other material, scratches or even major damage such as chips can be easily repaired, it is easy to clean and the finished product is very aesthetically pleasing.